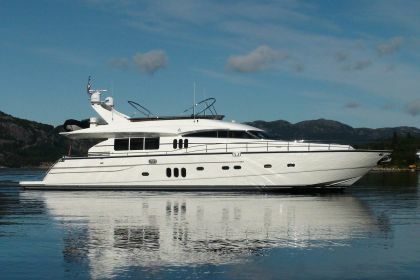 Anne Viking is a 25.72m motor yacht custom built in 2004 by Princess. 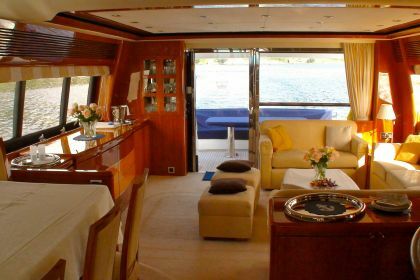 She sleeps up to eight guests in four rooms and can carry a crew of four. 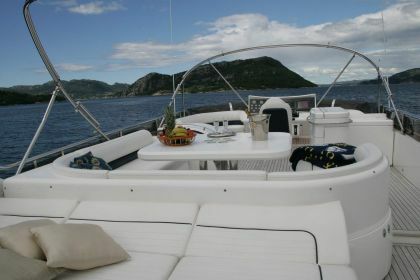 Meticulous and elegant design ensures that guests experience Norway in comfort and style. 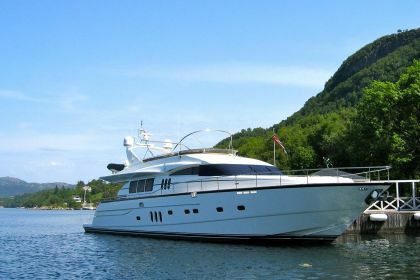 Designed for navigating narrow waters in the Norwegian fjords, Anne Viking is a brilliant choice for a family charter or adventure charter in Norway. 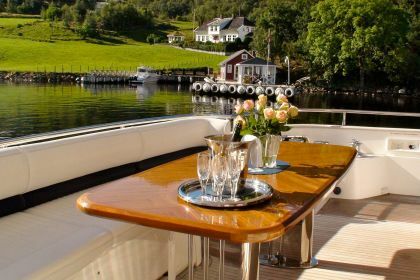 Feel the spray of Norway’s many waterfalls, cruise past mountains and picturesque fishing villages, and recline on the spacious aft deck, the perfect spot for admiring Norway’s incredible scenery and wildlife. 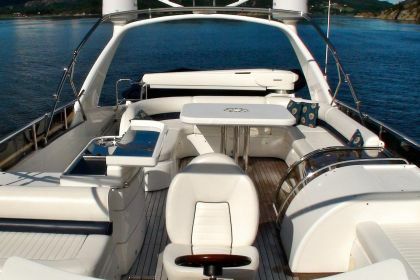 Ideal for groups and for bringing kids along, the luxury yacht offers a plethora of entertainment and leisure facilities, including water-skiing and fishing equipment and a state-of-the-art entertainment system. 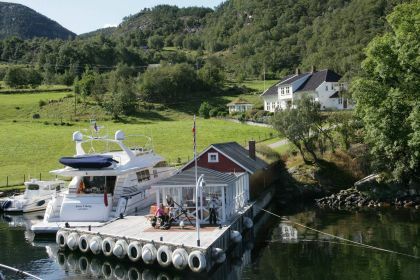 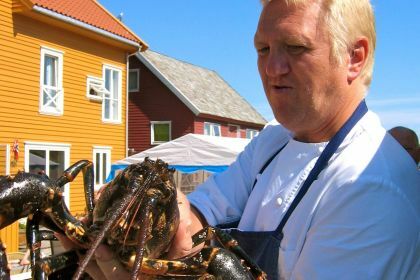 Guests can request fishing expeditions in the fjords or rivers, kayaking, sea rafting, helicopter and sea plane excursions. 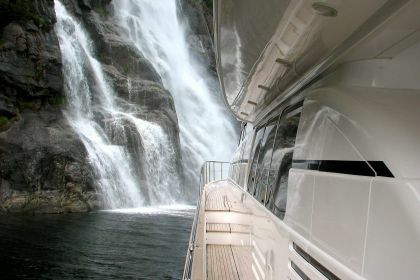 The experienced crew will be thrilled to share their insider knowledge of these magical cruising grounds with you. 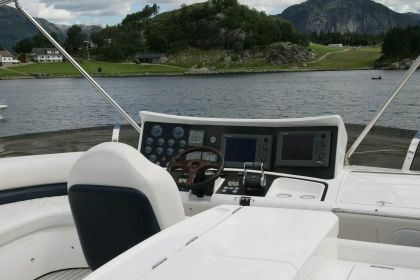 Avon 400DL (jet-rib), Waterskis, Donut, fishing rods, fishing lines, fishing reels. 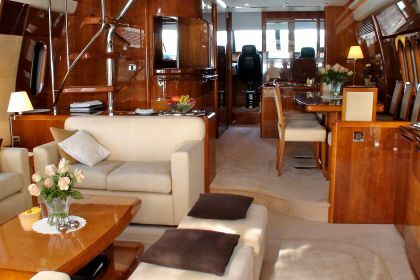 LCD TV, DVD, Stereo and Radio in all cabins, iPod docking station, GSM Telephone, Internet, Fax. 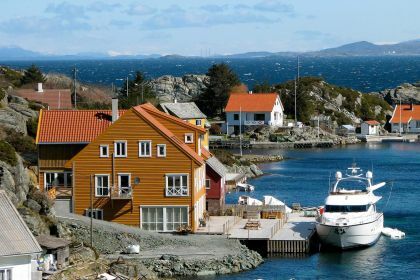 Because of the price of diesel in Norway an APA of 40% of the charter fee is requested.